A best-selling resource now in its fifth edition, Paul Davidovits' Physics in Biology and Medicine provides a high-quality and highly relevant physics grounding for students working toward careers in the medical and related professions. The text does not assume a prior background in physics, but provides it as required. It discusses biological systems that can be analyzed quantitatively and demonstrates how advances in the life sciences have been aided by the knowledge of physical or engineering analysis techniques, with applications, practice, and illustrations throughout. 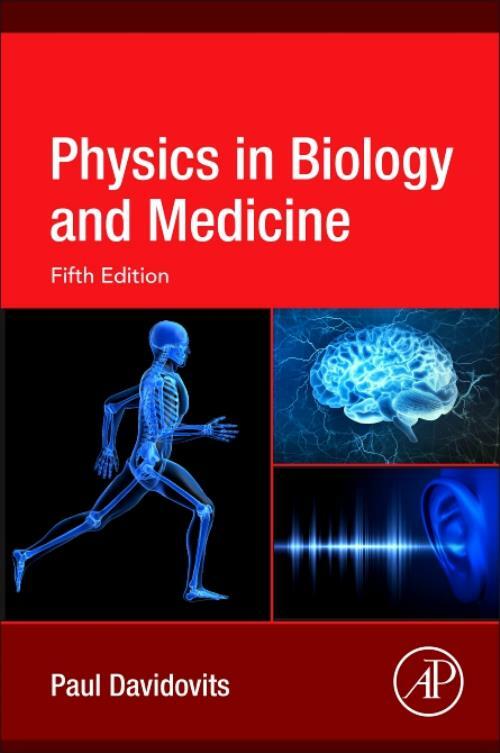 Physics in Biology and Medicine, Fifth Edition, includes new material and corresponding exercises on many exciting developments in the field since the prior edition, including biomechanics of joint replacement; biotribology and frictional properties of biological materials such as saliva, hair, and skin; 3-D printing and its use in medicine; new materials in dentistry; microfluidics and its applications to medicine; health, fractals, and the second law of thermodynamics; bioelectronic medicine; microsensors in medicine; role of myelin in learning, cryoelectron microscopy; clinical uses of sound; health impact of nanoparticle in polluted air. This revised edition delivers a concise and engaging introduction to the role and importance of physics in biology and medicine. It is ideal for courses in biophysics, medical physics, and related subjects. - Provides practical information and techniques for applying knowledge of physics to the study of living systems.- Presents material in a straightforward manner requiring very little prior knowledge of physics or biology.- Includes many figures, examples, illustrative problems and appendices, which provide convenient access to the important concepts of mechanics, electricity, and optics used in the text.- Features an Instructor Solutions Manual at textbooks.elsevier.com.